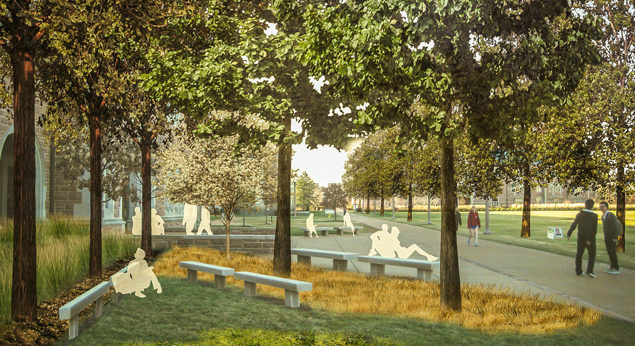 "Planting typologies are distributed throughout the campus based on existing tree plantings in an effort to heighten the experience of the overall campus environment. 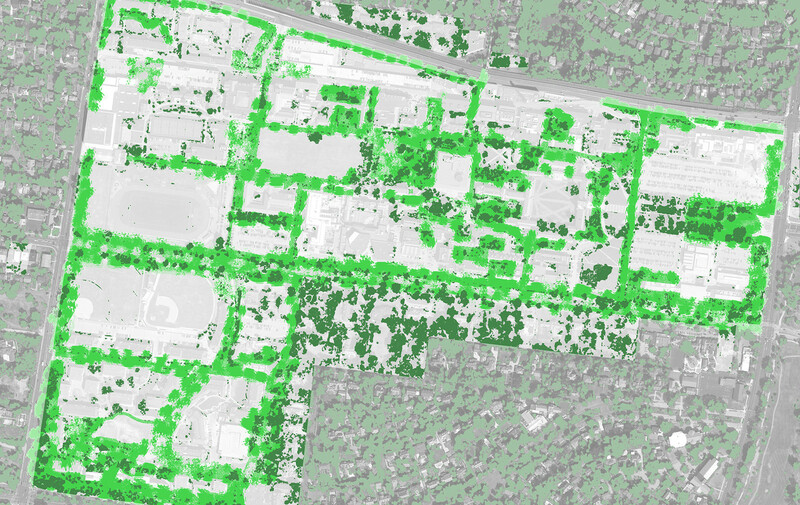 The result is a more than 100% increase in canopy cover over the next 20 years." 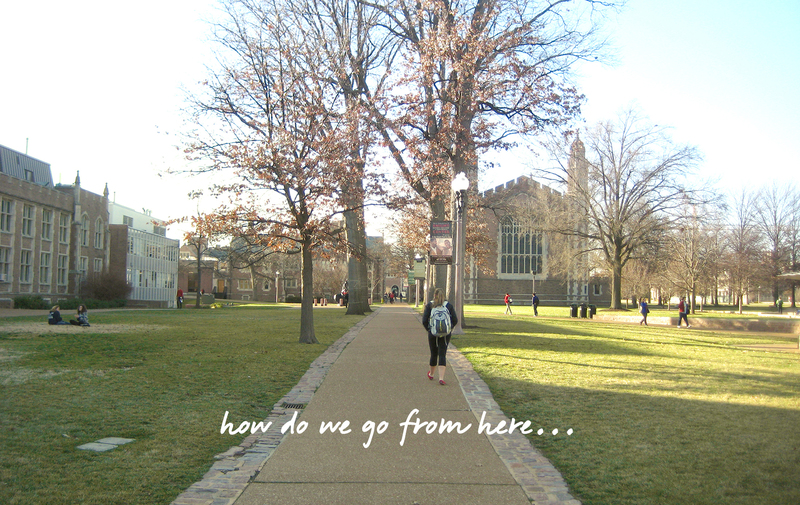 Situational strategies create areas of campus that are more ecologically successful, creating habitat and increasing biodiversity. 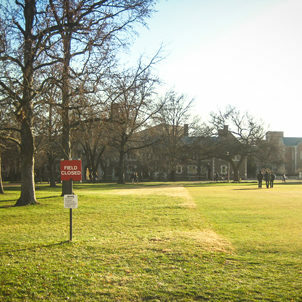 By looking at the structure of the campus’ forest, we can immediately identify limited diversity among families. 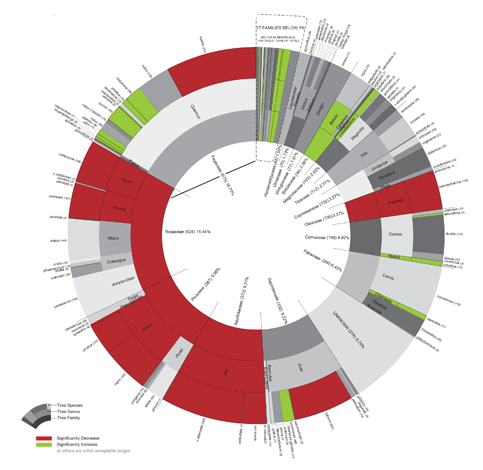 Native ecologies serve as a guide for establishing stable patterns of planting in urban situations. 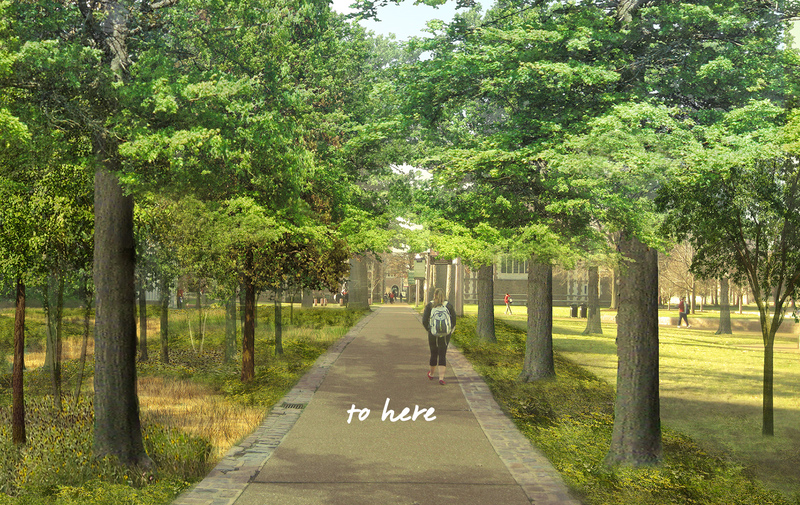 The master plan transforms the campus forest into a series of “living rooms” that facilitate outdoor gathering and meeting.  Design that contributes to a region’s biodiversity must support native and appropriate plant and animal species. This seemingly straightforward task is anything but simple in an urban environment – for example, in St. Louis, many post-industrial, commercial or even residential sites have not held a native tree in over a century. A combination of climate change and generations of human disturbance on these sites have resulted in soil types, landforms, hydrology and precipitation patterns that differentiate the urban landscape from surrounding, native ecotypes. 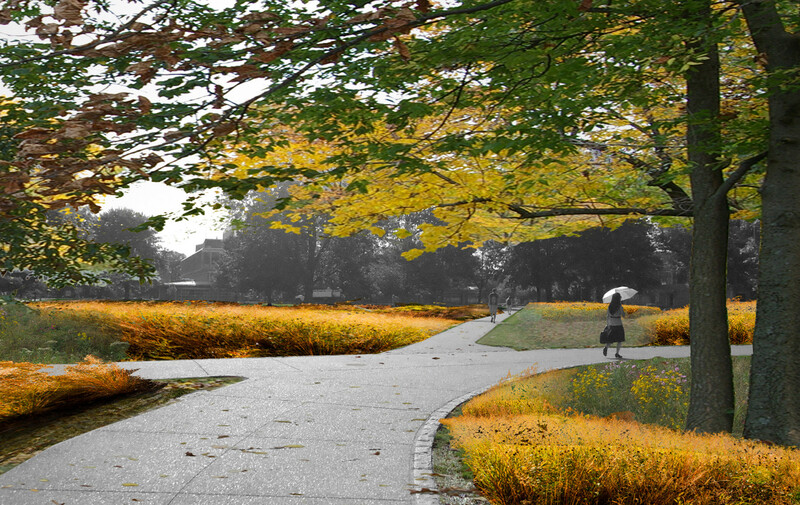 In order to progress the health and well-being of our urban populations, we must develop an understanding of appropriate plant material, habitat creation and urban wildlife to serve those landscape types. 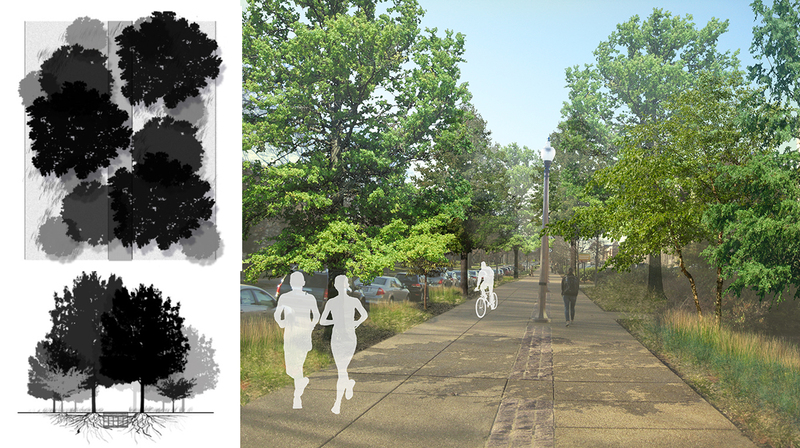 To that end, the Washington University Campus Tree Master Plan was developed to provide the Danforth Campus and its urban forest with comprehensive design strategies for forestation and forest maintenance on its grounds. As a flexible framework for changing needs, the master plan addresses contemporary environmental quality issues with solutions that satisfy the projected environmental imperatives of the future. 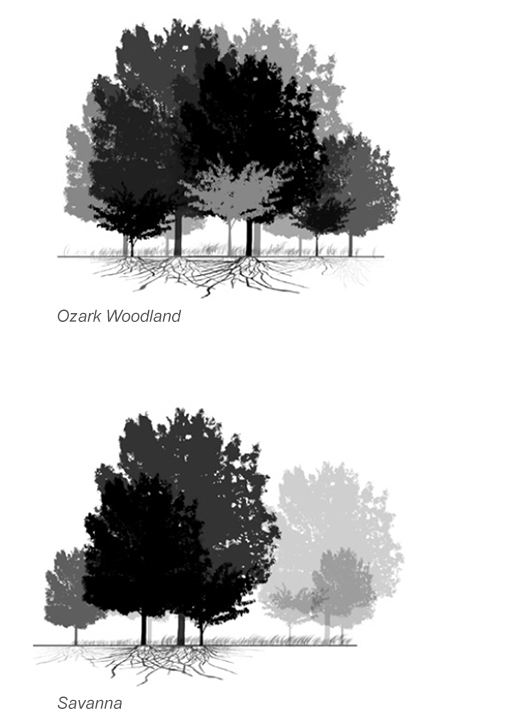 Strategies within this master plan serve both the current landscape conditions and an evolving built environment by establishing a successional approach to tree planting that balances aesthetic and functional concerns. "Benefits of urban forests are numerous - climate moderation, improved air quality, flooding mitigation, and increased property value. 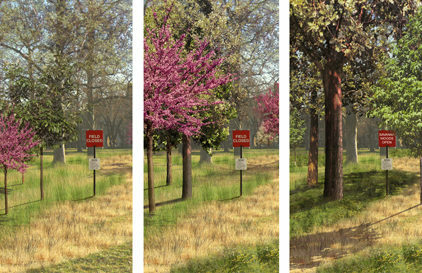 Implementation of this plan over time will set a new standard for the advancement of urban forests in academic settings."